“Captain Marvel” starring Brie Larson had an opening weekend of $153 million at the North America box office. 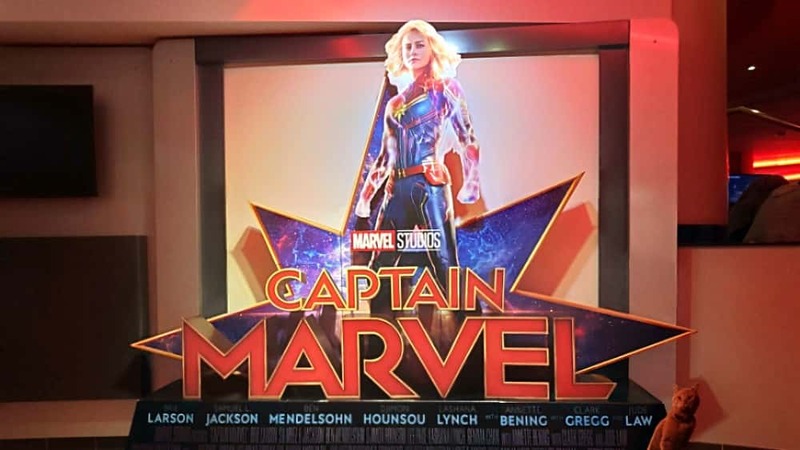 “Captain Marvel” took in $302 million internationally, giving it an estimated global opening weekend of $455 million — the sixth highest global debut of all time. The 21st installment of Disney’s Marvel Cinematic Universe will wind up with the 18th biggest domestic opening weekend of all time, and the best start for a standalone superhero film since Marvel’s “Black Panther” launched with $202 million in 2018. Larson stars as Carol Danvers, the pilot who becomes Captain Marvel after the Earth is caught at the center of a galactic conflict in 1995. The cast includes Samuel L. Jackson, Ben Mendelsohn, Djimon Hounsou, Lee Pace, Lashana Lynch, Gemma Chan, Annette Bening, Clark Gregg, and Jude Law. The movie is written and directed by Anna Boden and Ryan Fleck.